Just Grateful is a multi-glitter featuring black, white, neon and other bright glitters in a blue- and purple-shimmered base with gold holographic microglitter overlay. Done as an ode to The Dead. ;)These photos are 1 coat over a gradient with Wet n Wild Ghoul Time, Sinful Colors Endless Blue and Wet n Wild Deception on my index and ring nails and Wet n Wild Werewolf Vision, Revlon High Voltage and Sinful Colors Pink on my middle and pinky nails. Long Strange Trip is a mega multiglitter with violet-shimmered purple base and holographic micro-glitter overlay. Shown is 1 coat over 2 coats of Sinful Colors My Turn. Sugar Magnolia features white micro-glitters with iridescence, pink holographic accents and pink shimmer in a clear base. All nails are 2 coats over 2 coats of Sinful Colors Over It. Paulishes are a Lynnderella limited edition lacquer that can be found through Lynnderella.com, along with many more polishes! 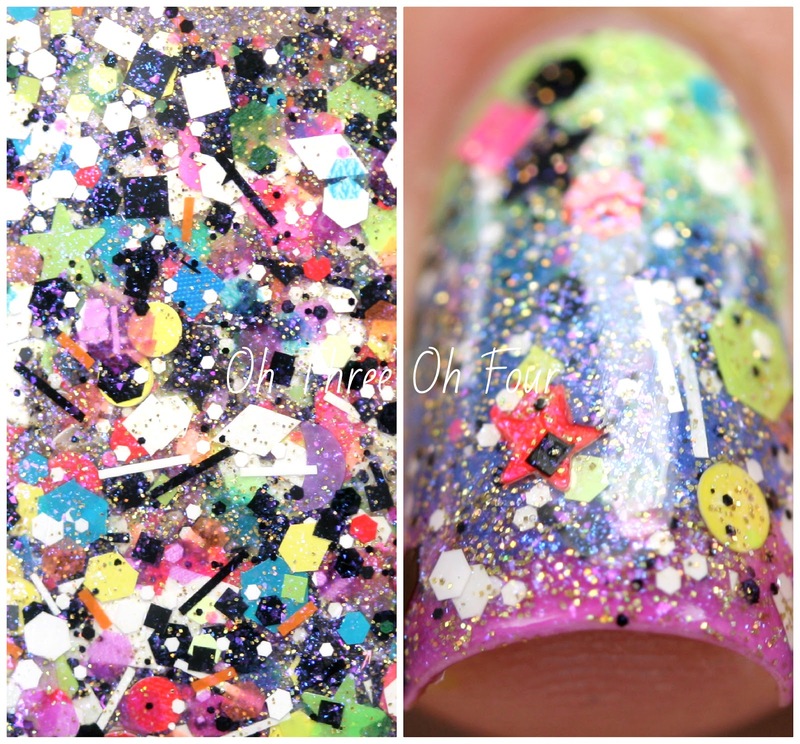 ;) International readers can find core lacquers from Norway Nails and Glitter Connect. Follow all the Lynnderella fan pages on Facebook, Twitter, Instagram, Pinterest and Tumblr.